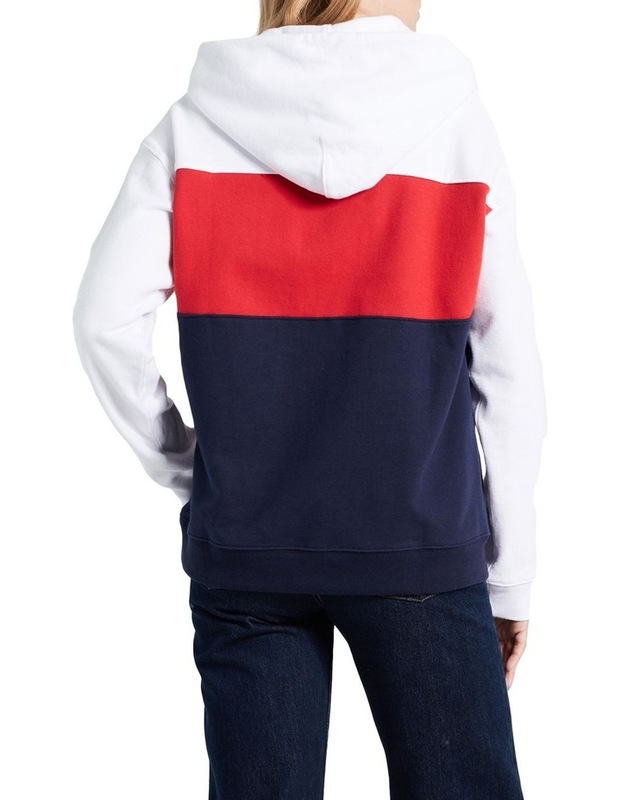 A comfy hoodie with an on-trend colorblock design. 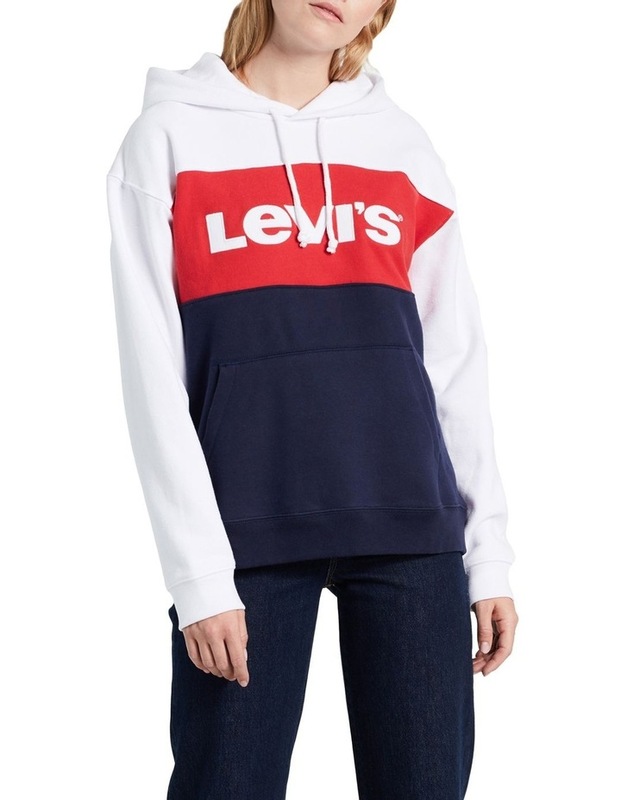 Features a Levi's logo. Ribbed cuffs and hem.